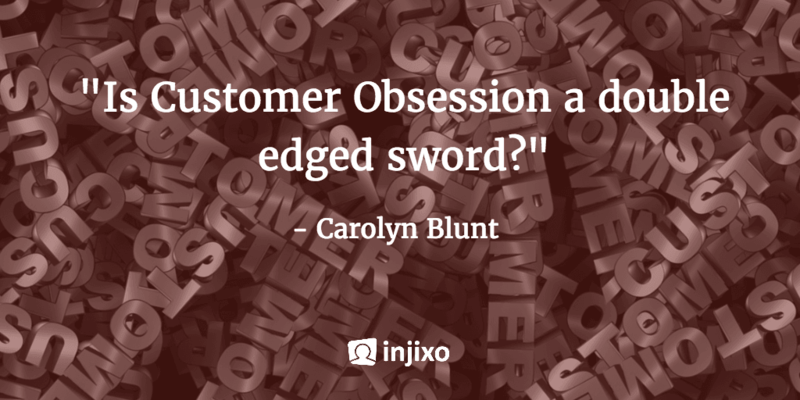 Is Customer Obsession a double edged sword? Getting customer service right every time – now that’s customer obsession for you. Striving for perfection, anticipating what the customer wants, giving them more than they expect, it’s a goal that most of us strive to achieve. Sometimes we get it right, but more often than not things go wrong. We simply can’t be perfect all the time, we are human after all. Considering this, is customer obsession something we should be implementing in our organization? Are there times when it can do more harm than good, regardless of it being a positive thing to aspire to? One of the benefits of customer obsession is that it puts the customer at the core of the business. Every decision that is made, whether it’s a new marketing campaign or installing a new IT system is reviewed in terms of the customer. Is it something the customer wants? Will it make their life easier? Will it save them time and money? Without this view companies often implement systems and strategies aimed at improving their bottom line or streamlining internal systems, without thought as to how it will impact customers. A prime example of this is Scottish Power who were fined £18 million in April 2016 for their exceptionally poor service delivery. In 2013 they implemented a new IT system, but there were so many problems in the implementation that it generated more than a million customer complaints. When a company has values worth aspiring to, it can pull people together. It becomes part of the company culture and helps to bring out the best in people resulting in a positive energy in the organization. With customer obsession as a core value it can inspire people to find ways to serve customers better, regardless of their role. When customers feel valued and looked after they become loyal supporters and a company’s best marketing tool. Customers sell your brand for you because you are doing something different. This customer loyalty shows on the business bottom line and repeat customers help generate consistent growth in a business. As much as there are positives to implementing a culture of customer obsession, there are times when the wheels fall off and this can be very damaging. Digitization can offer many tools to improve customer service, but only if they work effectively and integrate properly. Without a good structure of systems and support customer service will be endlessly frustrated. The idea of customer obsession without organizational support is doomed. I once had an experience of sitting in a boardroom before giving a training session. The manager was making introductions and giving a speech on how customer service evolves from every person in the organization being valued and respected, regardless of their role. “Even if they’ve done something wrong, you should still treat people with respect.” She said. Just then the door opened and in stepped a junior agent. Fuming at the interruption the manager laid into her. “How dare you be late! How disrespectful to your colleagues, what were you thinking just walking in while I was talking?” The poor agent just burst into tears and the rest of the room held a stunned silence. What a contrast to what the manager had been saying two minutes before. There was no respect in how she’d spoken to the agent and her reaction had been the complete opposite of what she was telling others to do. Unless managers are authentic in their interactions with staff, they can’t expect them to buy into any talk of caring customer service. Before customers can be valued, staff need to be valued. Customer obsession starts with a caring culture within the organization, inspiring people to want to do more, and always do their best. One of the cornerstones of getting customer service right is doing what you said you’d do, when you said you’d do it. This is something you can’t force and you can’t expect your staff to live those values if you don’t. It simply comes across as false. Customer obsession can only be achieved when everyone in the organization buys into it. True customer culture is engagement driven and it starts at the top. There is an age old saying that “it takes a village to raise a child”. This highlights the importance of community, support and engagement. Customer service is no different. 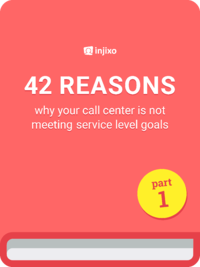 Obsess about giving your customers your best, but without the support of systems, staff, management and the rest of the service chain it won’t be sustainable and is very difficult to implement effectively by the contact centre alone.